Home » » YOUNG MAN REPORTEDLY KILLED BY GUNMEN IN OWERRI. 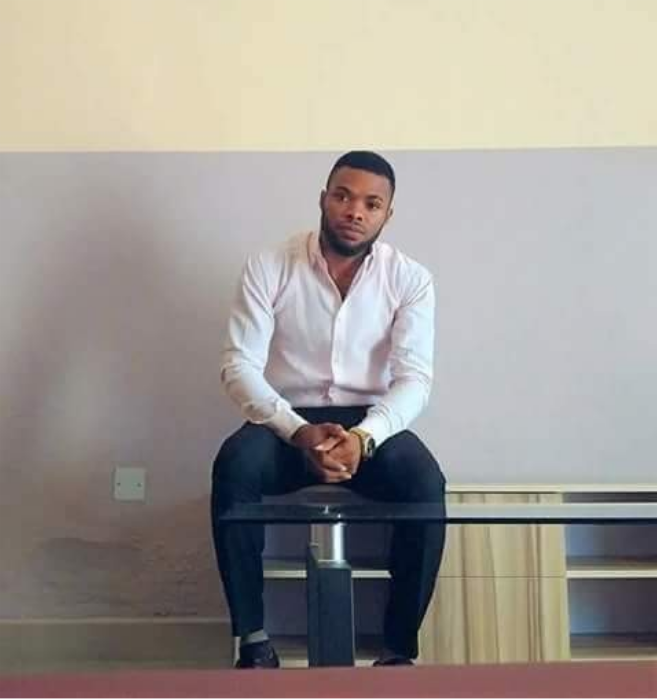 YOUNG MAN REPORTEDLY KILLED BY GUNMEN IN OWERRI. 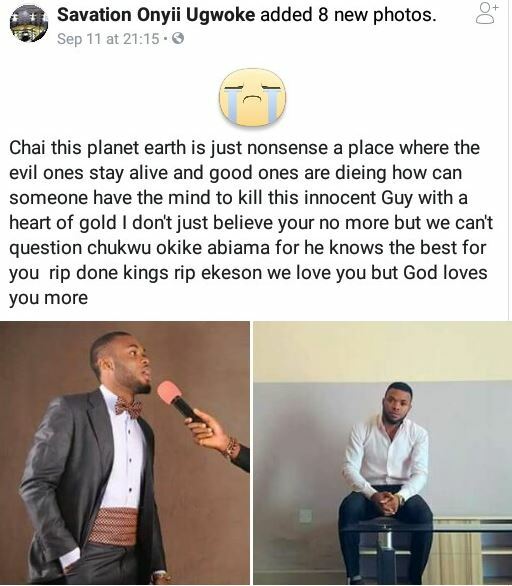 Family and friends have wept bitterly after a young man was murdered in Owerri. 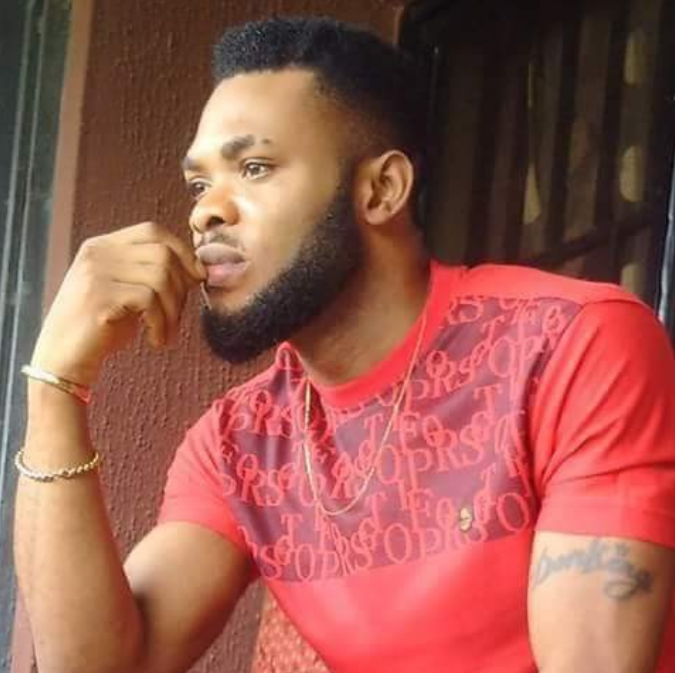 The young man identified as Kingsley Ekene Iwuoha died after he was attacked and shot dead by some gunmen in Owerri, Imo State capital. 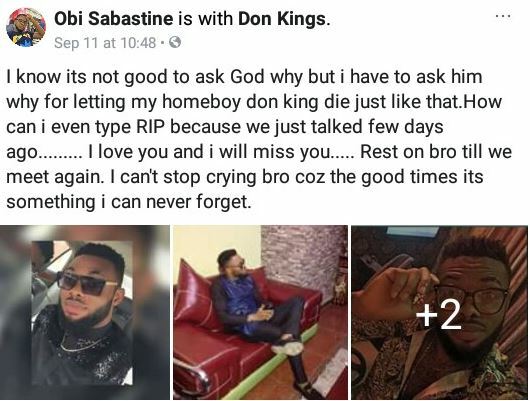 Kingsley more popularly known as Don King has been mourned by many friends who poured out their frustration and heartbreak on Facebook. “What would life be without you my brother and my friend?…. I waited so long to do this because I never believed it. I rushed you to the hospital after they attacked us and shot you, the nurses gave me hope, the doctor came and also gave me hope, but after 10mins the doctor told me we lost you. I cried loudly, thinking my loud cry could reach you and make you come back. “I stayed with your dead body for over 4 hours, yet you didn’t wake up. 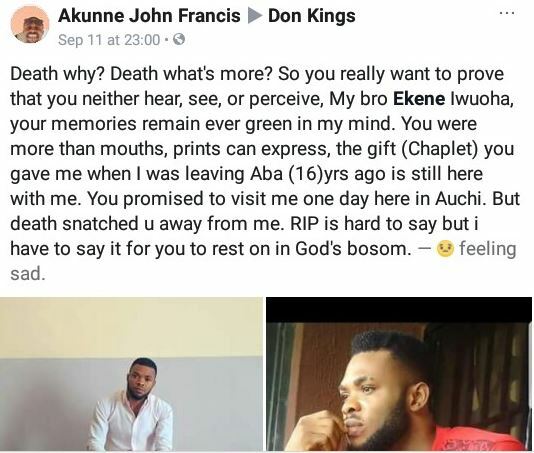 I declined any option of taking you to the mortuary. I wanted to be with your dead body. 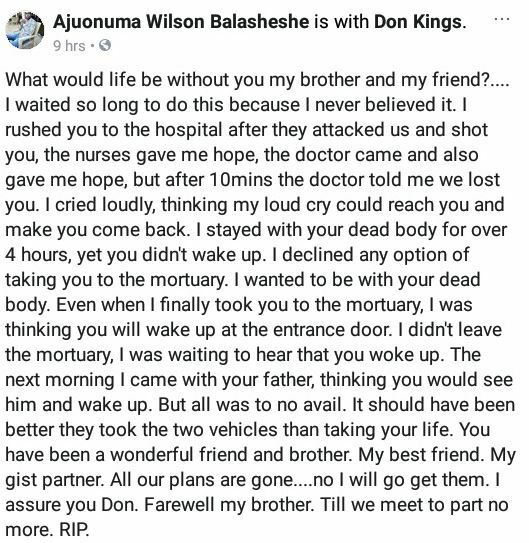 Even when I finally took you to the mortuary, I was thinking you will wake up at the entrance door. I didn’t leave the mortuary, I was waiting to hear that you woke up. “The next morning I came with your father, thinking you would see him and wake up. But all was to no avail. It should have been better they took the two vehicles than taking your life. You have been a wonderful friend and brother. My best friend. My gist partner. All our plans are gone….no I will go get them. I assure you Don.